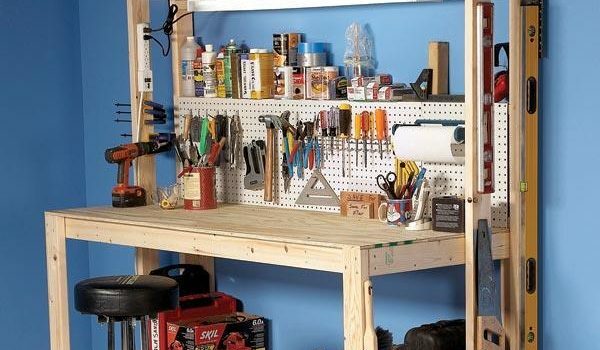 I can’t believe that I haven’t written about this workbench in the past. This is a fantastic project from the family handyman magazine that will cost about $50 and is a bench that will stand the test of time. I like this bench because it’s a real Standalone unit. By that, I mean you don’t need a wall to secure it to and it is plenty sturdy on its own. 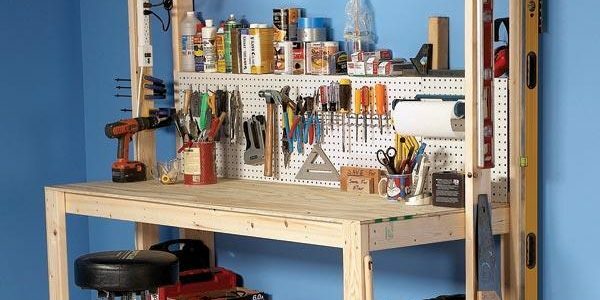 You can follow this plan exactly as laid out, or make some changes to include power strips, under cabinet lighting, under cabinet bins, a vice, or just about anything else you could think of. I made one of these for my father-in-law when he moved out of a house that had a wall mounted bench. This plan turned out to be perfect since it was going to be in the middle of a basement without any wall support. However, keep in mind things that are sturdy are often very heavy. This fits that bill. We made ours with a built-in power strip, hangers on the sides for levels and rulers, and a removable surface so that it was easy to replace when that time arrived. 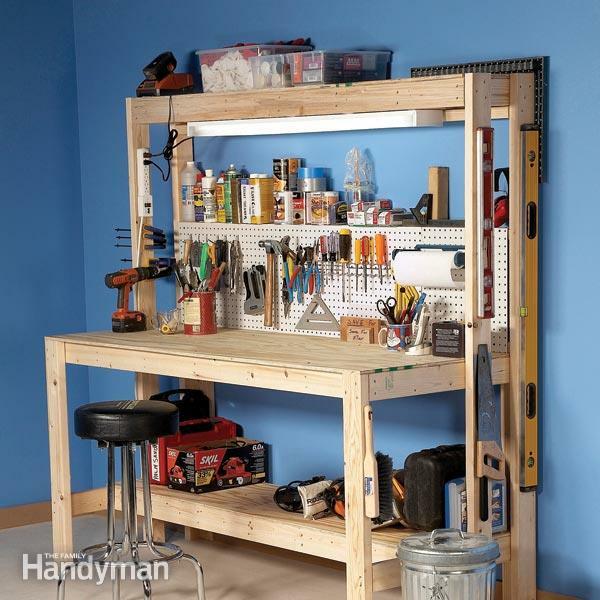 Enjoy this free plan from the family handyman. It’s an excellent choice that I would recommend to any woodworker. It is a real beginner project and requires a minimal amount of cutting (pretty fair amount of screws though).